Valentine’s Day evokes a lot of different emotions. Some people love it, others hate it or you may just plain not care about this holiday one way or the other. When it comes to gift giving, there are those who love to get flowers from their honey pie. Others who have a sweet tooth like to get chocolate. Me? I’m easy! I love CANDLES!! 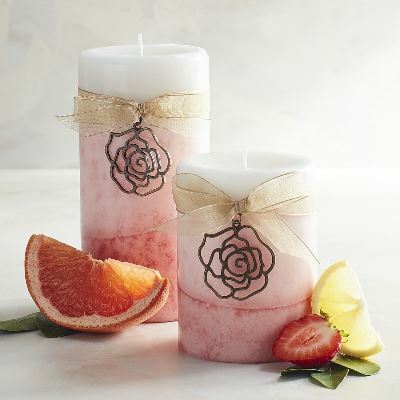 Lots and lots of candles and there are plenty out there perfect for Valentine’s Day to be had. Below are a few any candle lover would appreciate and adore that I picked at random. Candles I would love to try this Valentine’s Day. 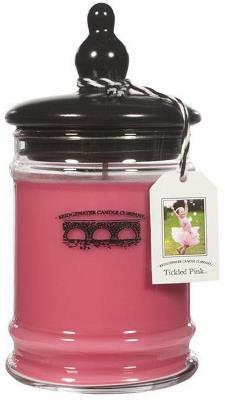 A carefree and flirty floral with notes of pink peony and gardenia. I’m not usually a fan of floral scents but there is something about the sweet scent of peony I love. 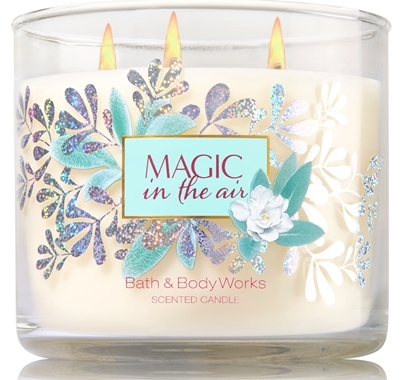 Besides, look how pretty this candle is. It’s perfect for Valentine’s Day. Visit Candles Off Main to learn more about this candle. This candle is so pretty. The label is all glittery and the lid – wowza! 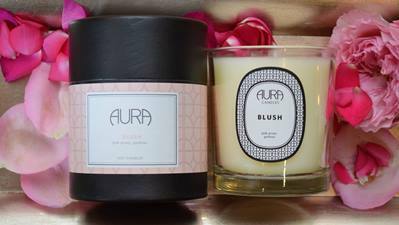 If you like bling… you’ll probably like the lid of this candle just as much as the fragrance. It’s super blingy with the entire surface of the lid covered in glitter, rhinestone and pearl embellishments. The scent… really soft and pretty. I purchased this candle to review and it smells like a fresh and powdery floral. It’s gorgeous! Tropical fruits, sugared oranges, lemons, and limes redolent with lightly exotic mountain greens. I would be absolutely ecstatic if my husband gave me this candle for Valentine’s Day. 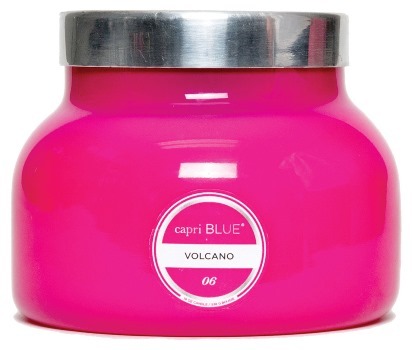 I’m drawn to the color of this candle let alone how awesome this scent sounds from the description. Fruity and fresh! I’ll take two please!! Linden blossom and violet leaf sweetened with berries. I’m sticking to the pink theme here since the color pink goes hand in hand with Valentine’s Day. Plus, this candle sounds wonderful. Any time you blend a floral with berries or a fruity scent, it turns into something soft and fresh. Say “I love you” with this sensual scent in romantic red. That’s not the most detailed description but you get the gist of this scent. ROSES!! I’m personally not a fan of this fragrance, far from it, but no Valentine’s Day is complete without a rose scent represented in one form or another. I decided on Kringle since this candle is from their new “Country Candle” line and I loved the deep red color. I wanted to make sure I added a candle that was readily available to purchase in a store. The price can’t be beat too at $10.00 for this candle. The manufacturer is Illume which happens to be one of my favorite luxury brands. 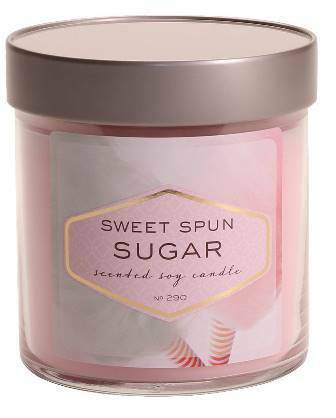 Cotton Candy makes a perfect scent for Valentine’s Days so remember this fella’s when you go candle shopping for your honey. 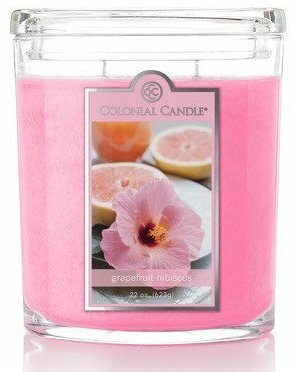 This irresistibly fresh scent opens with a burst of juicy grapefruit, mandarin, and cassis while the base of black currant, musk, and sandalwood further exudes a springtime experience. 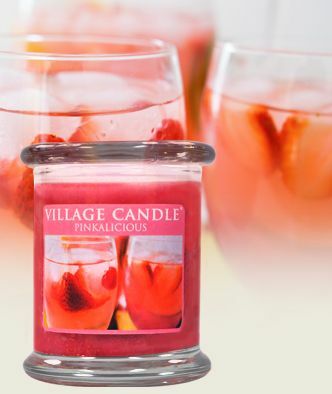 This fragrance’s delightfully delicious blend of citrus fruits will refresh you like a tall glass of pink lemonade. I couldn’t help continuing with the pink theme and a tall glass of pink lemonade sounds pretty good to me. 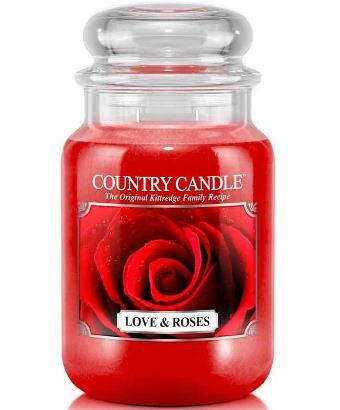 Especially if you aren’t into floral scents and in the mood for something more sweet and fresh. I can’t wait to smell this candle! A sparkling combination of pink grapefruit with hints of strawberry and citrus. What pretty candles these are and available in pillars like the picture above or in container candles if that’s your preference. I’m making it a point to smell this scent the next time I’m in a Pier 1 store. I bet I’ll walk away with one. 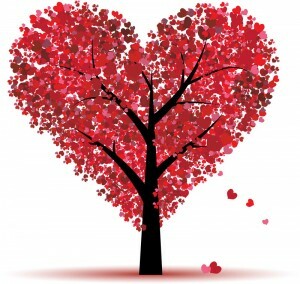 And that candle lovers concludes our list for some great candles perfect for Valentine’s Day this year. Candles I can’t wait to try! !